I had the opportunity to introduce Kris Bex of The Remnant Trust to the Culver Kiwanis yesterday. 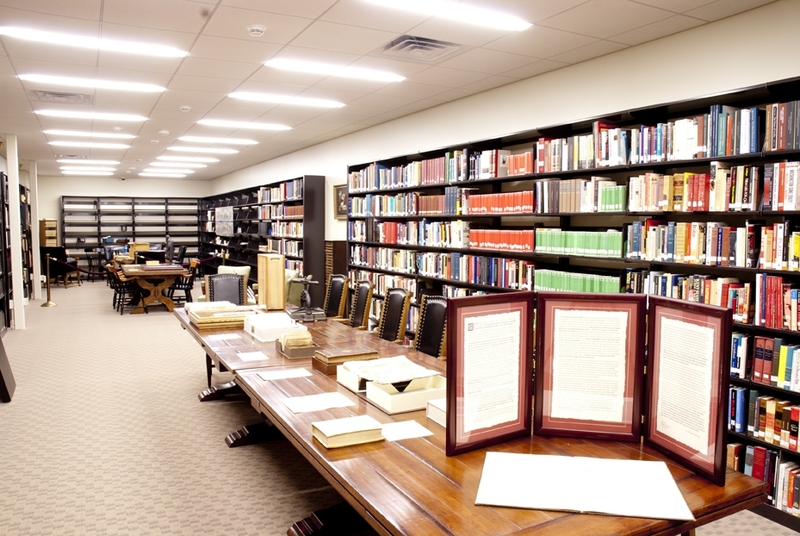 The Remnant Trust is an organization that collects and preserves documents from the 19th century and older. They concentrate their collection on documents that promote the concepts of Liberty and Dignity. They currently have 1206 cataloged works with more being added to their collection as important works become available. Kris has been President of The Remnant Trust since its inception in 1997. He explained how the idea for the organization came about for this group in the late 80’s/early 90’s. He also spoke about how they came to be located in Winona Lake. It is obviously very much a personal mission for him and he explained how some of his family inspired the creation of the trust. He has board of directors that he reports to which he said, “Limits his Indiana Jones style adventures…”, but he does travel the nation with examples of the works held in their trust. One of the unique things about their organization is their belief that these documents should be shared with the public. Members of the Kiwanis Club were afforded the opportunity to see some of these documents up close. The opportunity to actually see an original copy of the Federalist Papers is a unique and exciting event. That document was included in the samples brought for the club to examine. Authors represented in the trust include Aristotle, Adam Smith, Thomas Aquinas, Martin Luther, John Milton, Plato and Alexis de Tocqueville among others. Kris spoke about the care that is taken in preserving and presenting the documents under his protection. He kindly acknowledged our help in creating their facility in Winona Lake and briefly discussed the systems in place to protect them. Not unlike the protection systems some of you may have seen in the movie Angels and Demons, humidity and temperatures are controlled tightly and a specialized fire suppression system is employed that will squelch a fire by removing oxygen from the room while avoiding any residual chemical damage to the books. Unlike those books and documents in the movie, The Remnant Trust believes their collection should be shared with the public. Access is obviously controlled, but they do hold public events. If you are interested in attending one, there is a list of public exhibit dates here. You can find some additional information on our part in constructing The Remnant Trust facility in Winona Lake here in our blog. Just search for The Remnant Trust in the search box on the right. It was also interesting to learn that Kris attended Hillsdale College, though the group has no affiliation. Some of you may recognize the Imprimis, a publication of Hillsdale College that I have included in the miscellaneous links in the side bar of this blog since its origin. This is a project we’re extremely proud to include in our portfolio and I was pleased to be able to bring a piece of it to Culver for my friends at the Kiwanis Club to experience. Thank you Kris for making yourself available to give an interesting presentation.